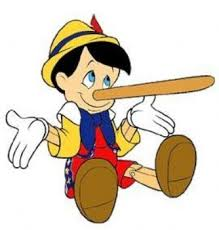 I once told somebody a big lie. It was a few years ago and I told this person that I was a member of the ‘Mile High Club’. Not sure who it was that I told and that’s irrelevant. The point is, what I said was a porky. Porky, by the way, is lovely Cockney rhyming slang for ‘pork pie’, hence, ‘lie’. Of course, most people know that ‘Mile High Club’ refers to individual engaging in coitus way up in an airplane. I’m not saying there haven’t been times when I wouldn’t have minded using such an activity to pass away the time on a tedious flight. Not sure of the logistics of such an encounter but, according to others, it can be done. Unless they too are lying. I mean, who could prove it one way or the other? Such ‘tarradiddles’ (as my Granny called them) are very much part of the human condition. We lie for a number of reasons, the most common being to protect ourselves when we’ve been caught in bad behavior – like screwing on an airplane, for example. Or, we also lie to self-aggrandize, like telling of screwing on an airplane, for example. We tell elaborate stories about an incident just to make the commonplace seem a bit radical and/or dangerous. The classic fisherman story is noteworthy here – I once caught a 900 pound marlin in Kona – or a male description (and possibly mistaken belief) in the magnitude of his genital equipment. I used to aggrandize incidents much more than I will today. I have actually gone to the point in telling a story during the process of which I have caught myself and said, “no, that’s not really exactly how it happened.” Problem with that is you have to prepare yourself for the glazing over of the eyes of your listeners. 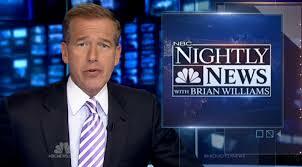 And this preamble brings us to the case of NBC TV talking head Brian Williams. Mr. Williams, a heretofore highly respected broadcaster, once recited the tale of having been shot down in a Chinook Helicopter over Iraq about a decade ago. Turns out it never really happened. Indeed one chopper was hit, but not the one he was on. I make no judgment on Mr. Williams. He has already been suspended. It has also been suggested by some that all he did was actually read the copy he was given and that the lie wasn’t self-generated. If that is the case, then I am sure it will all come out in the post-mortem wash. If he did fake the tale, then it is a disgusting lapse and a grievous insult to all war correspondents and frontline journalists who have paid with life and limb to get the public a story. Last year alone 61 journalists from many countries died while bringing reports from war zones. So, to trivialize that for the sake of a personal ego boost is a dreadful thing. If that is really what happened in the case of Williams. Have other broadcasters told porkies and exaggerated the risks they took? Possibly, though it is difficult to think that dear old Cronkite did such a thing. And there was no faking the fact that Murrow did indeed broadcast from Blitz-torn London even as the bombs screamed down.